Sometimes you get them… but underperform compared to the potential that was available. Specifically, one part of his methodology requires the identification of a turn of a short-term average against the trend to indicate a weakening of that current price swing. I suggested that my preference in this case would be an SMA simply because the easier mathematics allows us to see in advance exactly at which price level the current candle would need to close at or beyond, in order to turn the average line. He wasn't aware of this concept, so it's quite likely many others aren't as well. So let me share the idea here. I'm all about "keeping your mind ahead of the current price" and this technique allows you to do exactly that. 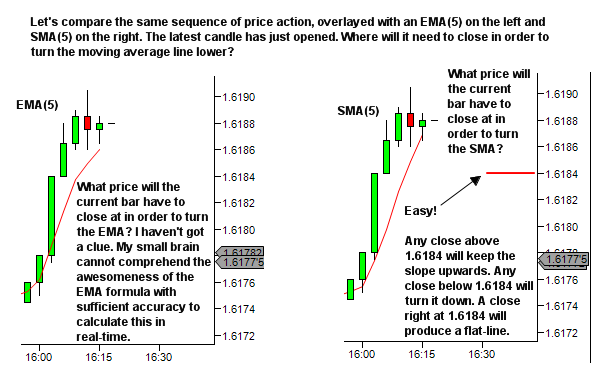 You'll know ahead of time, exactly where price needs to go in order to change the SMA slope. It's commonly believed that EMA's are superior to SMA's, simply because they're more responsive to price change and will adapt to movement quicker. While there is some validity to this, really SMA and EMA and all other indicators are just a tool. You really need to ask what you're trying to indicate. Then seek out the tool that best provides you with a solution. And it takes about a second to know this. With no mathematics at all. Let's look now just at the SMA as we move forward bar by bar. Could you please take a quick look at these setups and tell me what you think. Is my line of thought correct? With hindsight both of these pullbacks seem to me valid entries long. I think in both cases the small bearish traps at the end of PBs/CPBs play a significant role and add to the validity of long entry. And that quote just beautifully sums up the difference between me and most of the “pattern” traders. You may be able to recognise and name a pattern, but do you really know what is happening within the market? The pattern is just the footprints of the past. The future will depend on the way that trader sentiment and decision making drives future orderflow. Are you really understanding price movement? Or are you just assigning names to it? And then reacting in mechanical fashion to the name? A better way to trade is to understand the CAUSE of price movement. 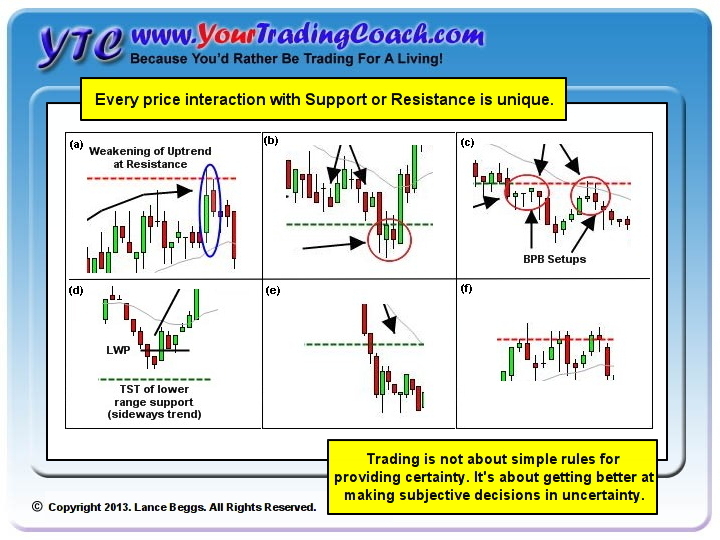 Understanding CAUSE allows you to identify potential moves as or before they occur. 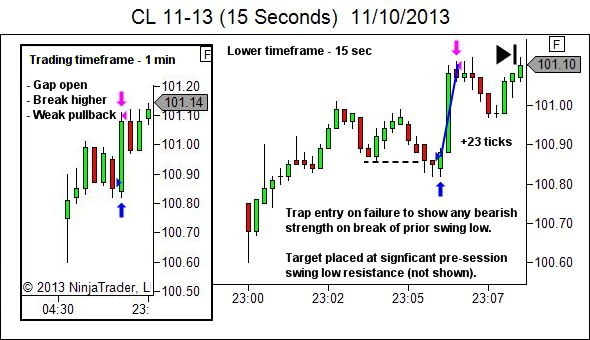 Understanding CAUSE allows you to enter a price move earlier. 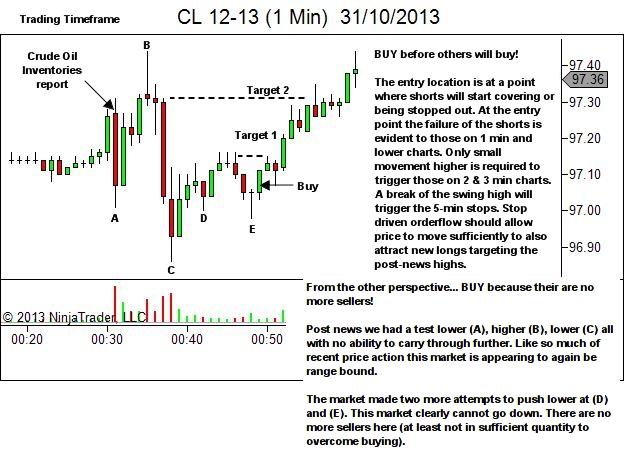 Understanding CAUSE allows you to understand why a price move is occurring. Understanding CAUSE allows you to assess when a move is likely to continue and when it’s likely to end. Understanding EFFECT only, means that all you can do is react to what has already occurred, usually well after it has already occurred, and then simply hope that sufficient profit potential is still available in the move. I’m asking you to take three steps! 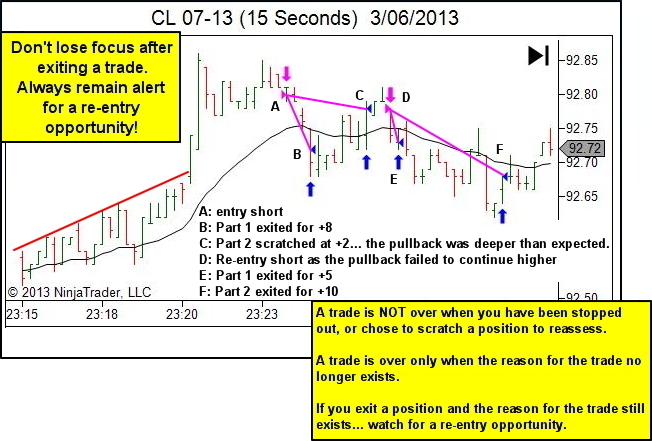 Thanks, I believe some of your knowledge held in trading is very wealthy to your students and viewers. 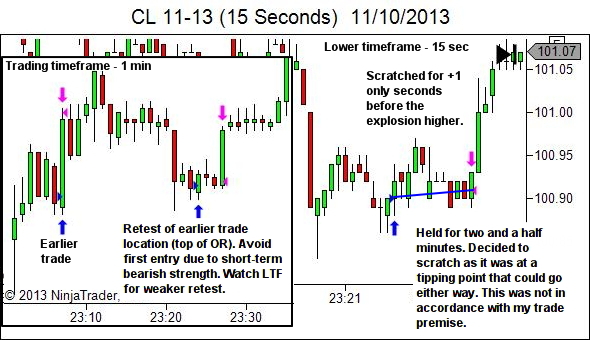 I have a few questions on Candlestick Reversals please. 1. 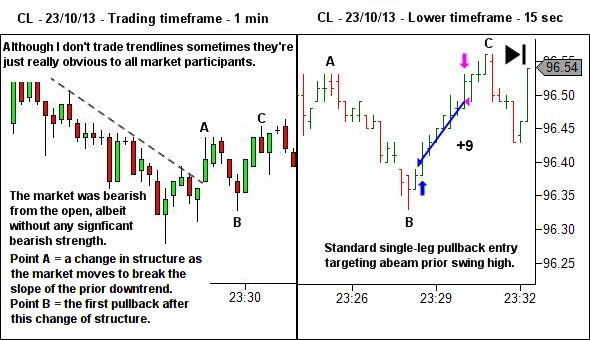 Some candle patterns like Hanging Man and Hammer are same in body form but different in which trend they appear, how should we recognize them a bit more, is a different colour to each reversal necessary? 2. Do Indicators play a key role with these phenomenal reversal candlesticks say like e.g. VOLUME, to tell you how much pressure that particular candle has given off for extra assurance along with where the next bar will close afterwards for traders to take action? 3. As Volatility is very important to traders from all sides, does it matter at which time or part of the day a Candle Reversal may appear and how valid is it before a news release? 4. You have not mentioned this in your videos and with due respect, can we say Piercing Patterns are both Bearish and Bullish Reversals with slight candle changes and appearing in a different trend? Thanks for your email and your great feedback. I’m glad you’ve found value in my candlestick video series. Before answering your questions, please let me address one point that you may or may not be aware of. 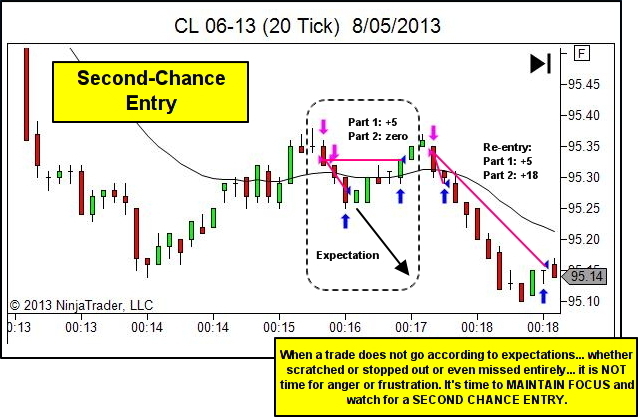 There is a common assumption in the many emails I receive that I trade candlestick reversal patterns as an integral part of my trading strategy. This is not true at all. 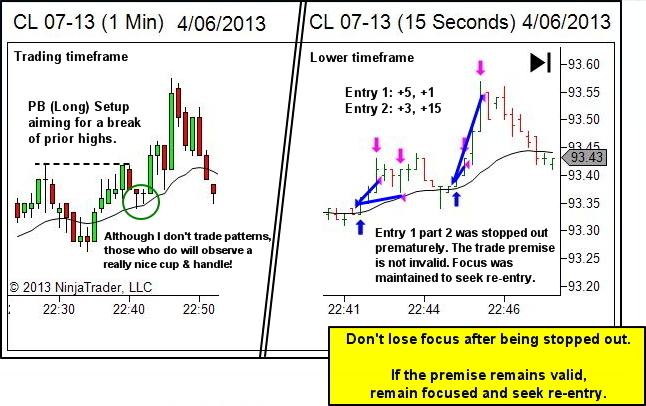 I teach candlestick reversal patterns (and similar price bar reversal patterns) simply because they are a useful stepping stone for people in learning to perceive the shifting sentiment within price movement. Candlestick patterns allow us to examine a small sequence of price movement (1-3 candles) and discuss how the sentiment shifts from bullish to bearish, or vice versa. If you desire to be a professional trader though, I highly encourage you to move beyond this information, to learn to see shifting sentiment within ALL price movement, not just those short sequences that fit a textbook candlestick pattern definition. You will have mastered the lesson of candlestick patterns, only when you no longer need the candlestick patterns… and instead have learnt to read shifts in sentiment within all price movement.